SCRFoundation have a wide social remit to engage with our community on a range of health, sports and education issues. A big part of what we do is to engage with various groups, to add value, skills and give enjoyment through sports and other initiatives. 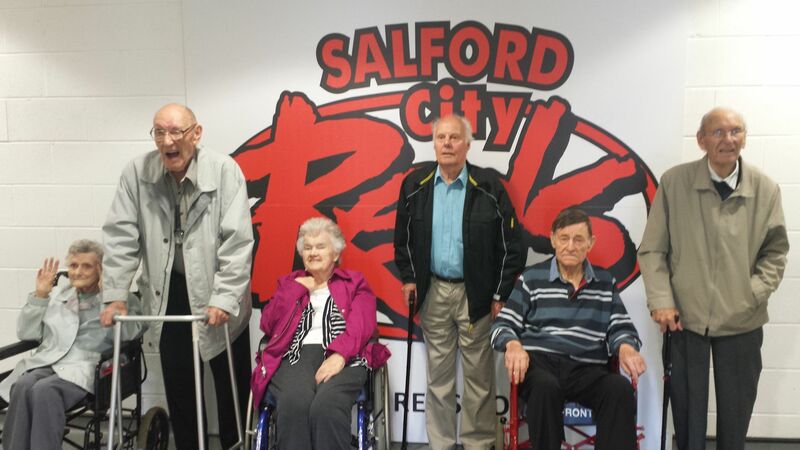 A group of our community we particularly enjoy engaging with are the senior members of Salford and those over 65’s, who we work with on a range of activities. SCRF Education Project Manager, Neil Blackburn, heads up a lot of activity in the area, strengthening skills within our senior community through initiatives such as our ‘Silver Surfers’ programme, that takes place on a regular basis at the community offices. Neil said, “Silver Surfer’s is a great way seniors can not only increase their online and computer skills, helping then to stay in touch with friends, family and community issues, but also a great activity too. Our member’s really enjoy coming down to the community offices and engaging with each other and ourselves, while learning new IT based skills”. However, Silver Surfer’s is just one of the initiatives we undertake here aimed at engaging with and upskilling the senior Salford Community. We recently launched a new scheme aimed at inviting senior community members to make use of our museum facilities in a social context, and come together to discuss their favourite sporting memories of yester year. Furthermore, with National Older Person’s Day coming up on the 1st October, we have a full schedule of events taking place at the community stadiums, supported by a host of community partners aimed at celebrating the role of older members in our society, while offering certain services and activities. With a full range of events and activities taking place at the foundation community offices in the coming weeks, whether it’s information on Silver Surfer’s, National Older Peoples Day or any other events or initiatives concerning engagement, should they be of interest to you or a loved one or friend, please contact the Foundation offices on 0161 820 2739. Follow us on Twitter @SCRFoundation. We welcome senior groups to the stadium here, should you wish to arrange a senior community visit to the stadium and museum, please feel to contact us directly.